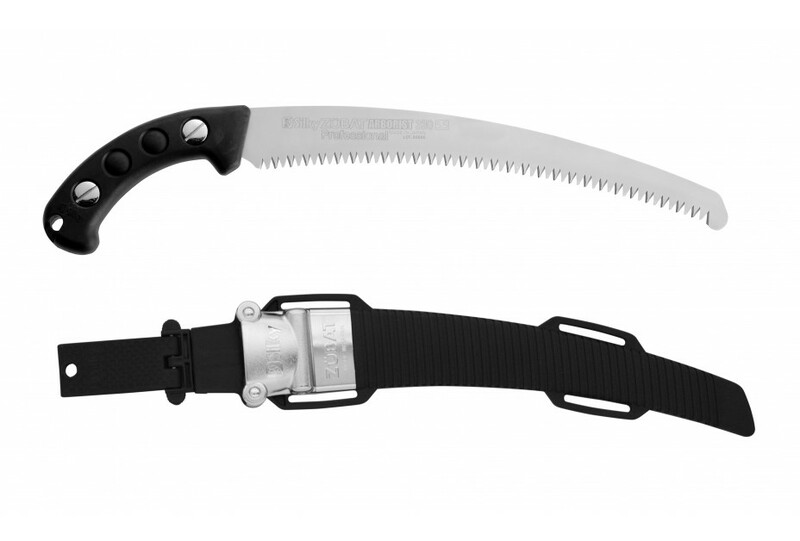 The Zübat is the most widely-used handsaw by arborists in the world. 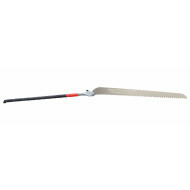 It is a versatile, powerful pull saw to be used during both precision pruning in tighter spaces and larger removals. With the new Zübat Arborist, Silky truly meets all the needs of the arborist. The Zübat Atborist 330 is my favourite handsaw as of yet. The new holster with extra roller makes it easier to stow away and holds the saw in place tightly. It's an aggressive saw that makes cutting slightly larger branches effor.. The saw has extra-large teeth (5.5 teeth per 30 mm) and quickly rips through the soft, fresh wood, like linden, poplar and willow. The Zübat Arborist can be identified by the chrome details of the screws and the scabbard. Thanks to the third extra roller the saw now slides even smoother into the scabbard. The perfect shape of the aggressively curved blade in combination with Silky’s unique teeth, will give you the speed, force and precision you need in the tree. 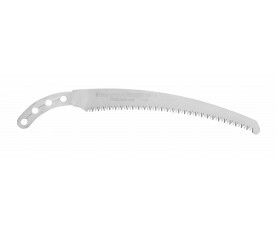 You can easily leave your chainsaw on the ground more often, as this handsaw is an all-around pleasure to work with. Even after frequent use, the teeth will still stay sharp for a long time, leaving behind a smooth tree cut that will easily be overgrown. When working above shoulder height and below the knees, you can still saw on top of the branch with a curved blade, while your arm, wrist and hand remain in its natural position. This makes you work efficiently, even in the most difficult circumstances. The tip at the edge of the blade keeps the saw in the kerf, giving you more control. The blade is full tang, so that this stable saw is perfectly balanced. 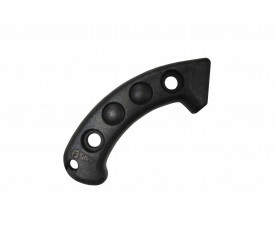 The rubber-molded handle lays comfortably in your hand and will absorb all vibrations. The name Zübat derives from the sound that a Samurai sword makes when it hits its target. Users of this saw will know why. The Zübat Arborist with extra-large teeth is suited for soft, fresh wood. The Zübat series with large teeth is available in five blade lengths: 240 - 270 - 300 - 330 and 390 mm. The Zübat 330 is also available with fine teeth for seasoned wood. Did you know that the blade is interchangeable with that of the Zübat telescopic pole saw? 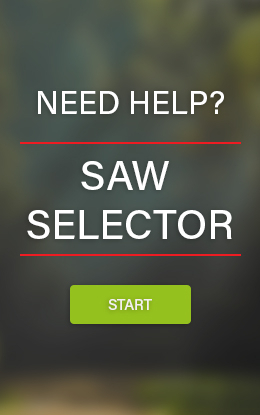 This nifty feature enables you to use the saw as a handsaw and a pole saw! 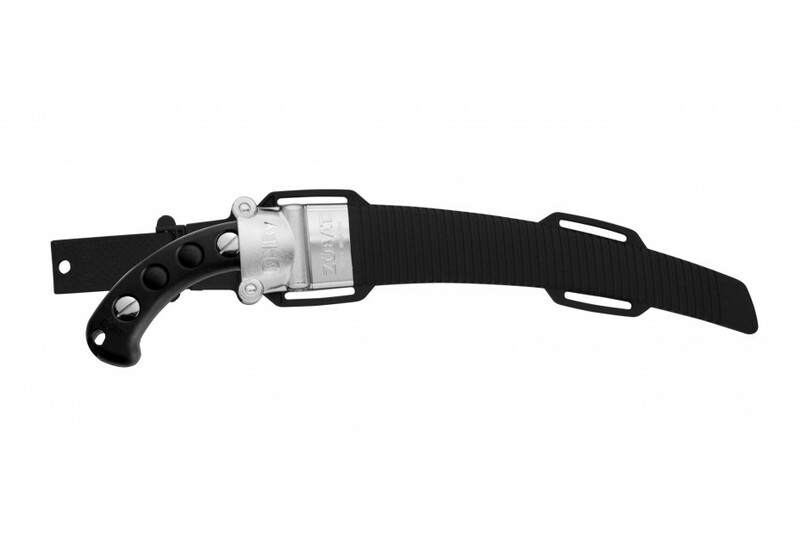 All Zübat pruning saws come with a lightweight, polypropylene scabbard with detachable belt holder. 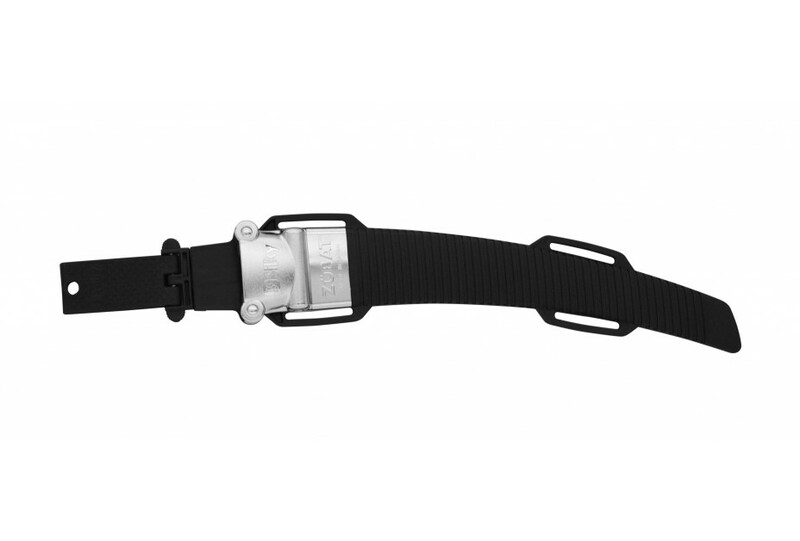 The scabbard is incorporated with three rollers to prevent the sharp teeth damaging the case. The bottom part is equipped with a hole that drains moist and saw dust. The blade must be kept clean to maintain its efficiency. Resin dissolves in olive oil, which is an effective and environmental friendly way to maintain the blade with. More aggressive liquids can damage the rubber material of the handle. When not using the saw, make sure it is dry at all times. Store the saw in its scabbard in a dry place. 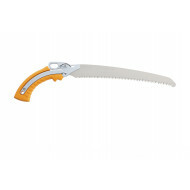 Great saw, makes pruning effortless! The Zübat Atborist 330 is my favourite handsaw as of yet. The new holster with extra roller makes it easier to stow away and holds the saw in place tightly. 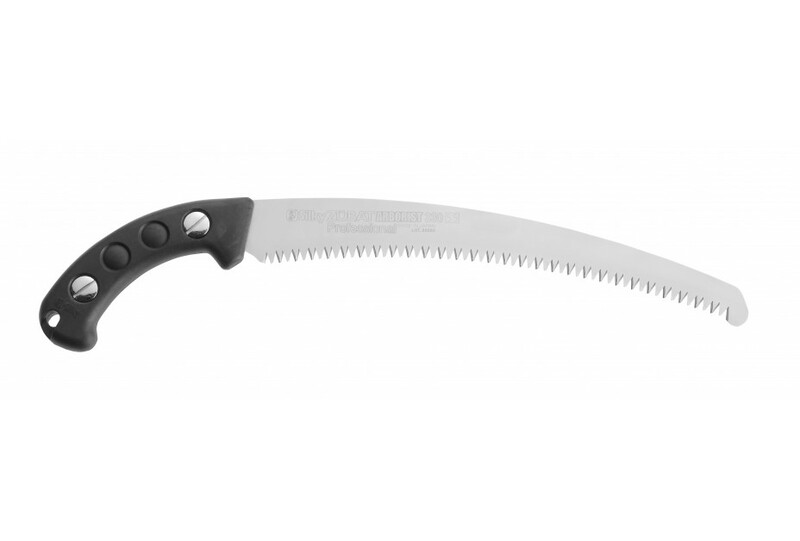 It's an aggressive saw that makes cutting slightly larger branches effortless!